If you're finding humidifier information confusing, you're not alone. From capacity to warm or cool mist functions, I'll clear the air and give you straight basic humidifier facts that you need to know. It will help you to make good humidifier buying decisions and also give you a better understanding of the care you'll need to give this air quality appliance. If you're not sure what a humidifier is or what it does, review my humidifier definition to learn why this is an important household appliance. Your physician may recommend that you buy a humidifier to help you breathe better, remedy dry skin or help a certain medical problem. In this case, you should also inquire as to what type - warm or cool mist, he or she would recommend. But consumers often make a humidifier buying decision simply based on how they feel or what they see happening in their home. A home that is too dry can cause some health problems, but it can also damage furniture and musical stringed instruments (wooden). A hygrometer is the best measure of humidity levels, but you can also learn the signs that your home may need more moisture. Then find a humidifier that meets your preferences when it comes to convenience, maintenance and price. You'll find many humidifiers sporting a 'quiet' or 'whisper quiet' product description. One humidifier may be quieter than another by design, such as an ultrasonic model which is known to be quieter than some other types, but there are no totally silent humidifiers. Having at least two speed levels allows you to pick the lowest (quietest), or a nighttime setting. As you would adapt to an air conditioner or fan's operating noise in order to benefit from the improved comfort level in a bedroom, you have to do the same with a humidifier - get used to the noise level. It can have its good points - a low operating hum can drown out irritating household noises and it can remind you to fill the unit or turn it off. Buy a humidifier sized for the area where you need to add moisture, not on a humidifier's capacity. Every humidifier is designed for a certain coverage area in square footage. Use that as a guide, measure your own area and match the humidifier to this area. Don't oversize the unit - you'll likely end up with excess moisture problems. It's better to err on the smaller size. When buying a whole house humidifier, keep in mind that though they are designed to cover a large area - your whole home, how well moisture is discharged to the full area depends on your home's layout. Where's the Best Place for a Portable Humidifier? While placing a humidifier in a family room because it's the largest area or where everyone can benefit from it may seem wise, you should place the humidifier where you need it the most, as long as you've sized it for that room. Most common places for portable units are bedrooms. However, it really depends on what your needs are and if you want to simply add moisture to a dry room, or benefit personally from extra humidity. Humidifiers are sold by capacity but this does not refer to the water tank size. It relates to the amount of moisture output over a 24-hour period. To achieve the stated output, the humidifier may have to be filled more than once (the water tank will be smaller) and the unit may also need to be operated on high. How Often Does a Humidifier Need to be Filled? You'll most likely need to fill any humidifier every day. A one-liter unit running for 8 hours on low will need to be filled daily, as would a 3-gallon humidifier which may operate for 12-15 hours. Even a larger 10-gallon console model should be filled regularly, simply because it's easier doing it daily, rather than when it is empty. With a portable unit, you should empty the tank completely, then refill - not simply add more water to it. That's because bacteria breeds in stagnant water and you can reduce that risk by emptying the water tank completely, washing and drying if possible, and then refilling with water. This is not so easy with a console model, but it should be done at least on a regular basis for the same reason. Evaporative or Ultrasonic Humidifier - Which is Better? Evaporative is the most common (and basic) type of humidifying process and it's usually the cheapest. 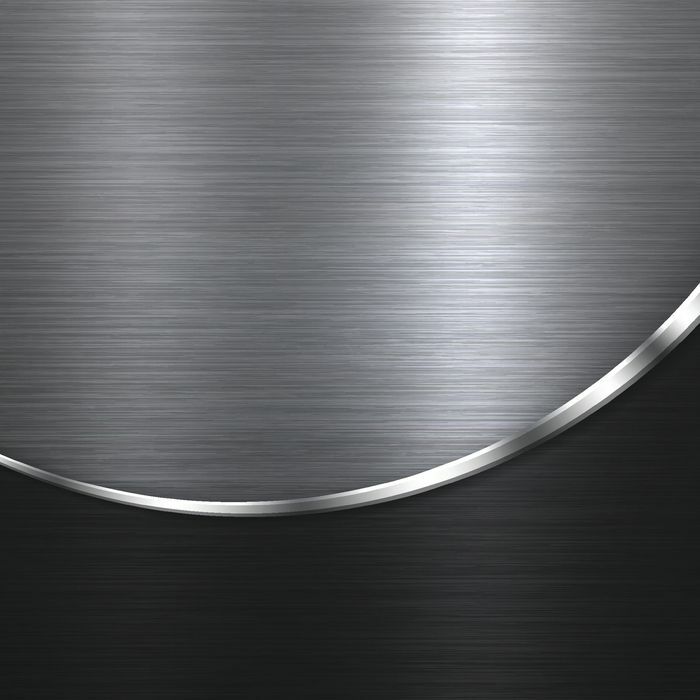 An ultrasonic model produces moisture differently, often in a very fine or invisible mist and usually costs more. Some find ultrasonic humidifiers quieter to operate. Learn more about what an ultrasonic humidifier is and how it works. A built-in humidistat is certainly a nice feature but shouldn't be fully trusted fully. How it works: You set the preferred moisture level and it controls operation to maintain that humidity level. However, some find that these features generally have some flaws - some do not reach the designated level. While they help to a point, for your own peace of mind to avoid over-humidifying your home and creating an improper moisture balance, buy an inexpensive hygrometer and monitor your humidity levels, then adjust the humidistat to ensure that the humidifier is working as it should. Learn the difference between a hygrometer and humidistat. If you don't want to take the time to maintain a humidifier, you're better off not having one. That's because you'll negate any moisture relieving benefits by spreading bacteria around the room, from a humidifier that is not cleaned on a regular basis. Some recommend cleaning the humidifier with vinegar and disinfecting with bleach monthly, but most find they have to do this every week. How often depends on various factors including mineral content in your water, room air quality, how long water has been standing and how fast particles build up in the filter. And warm water breeds bacterial growth more quickly than cool. Even though you do not need to change a permanent filter, you'll need to clean it and disinfect the unit just the same. Some humidifiers have built-in bacterial control features to prevent or reduce the risk of bacteria forming in the water tank or at the point of moisture output. These and other features such as nano or silver ion technology are excellent for helping to keep bacterial growth down. You'll pay more for these features but they are worth having. But keep in mind that these do not eliminate cleaning the humidifier. You still need to be diligent and do a good routine cleaning and disinfecting of your humidifier. There are some humidifiers that use silver sticks for bacterial protection and these have to be purchased and replaced occasionally. While you'll enjoy the benefits of adding humidity to a dry home, you can easily tip the scale and then have to deal with excess moisture. As mentioned above, a hygrometer will help you to monitor humidity levels. Signs that you are adding too much moisture to your home include water or moisture accumulating or dripping on the inside of your windows, furniture, paper or hard floors that feel clammy, steam or moisture on mirrors, or the evidence of mold/mildew in the corners of a wall. If you suspect too ​much humidity, take a reading and then operate a dehumidifier to remove that excess moisture. Even if your manufacturer recommends changing the filter every three months, your humidifier's filter may not last that long. If your water has a lot of mineral content, scale can easily build up in the filter and hamper its operation. Other factors can also affect filter life including smoke, pet dander and if water has been left standing in the unit and mold is developing. Even if you changed the filter last month, if you detect a foul odor from your humidifier, chances are that it needs a filter change and/or cleaning. Be pro-active when it comes to humidifier care and keep a spare filter on hand. Most wick filters are washable. However, it takes a lot of hands-on work and time to totally clean a wick filter. They are reasonably priced and easy to change if that's more appealing to you. Follow these steps to change a wick filter. Remember to do a regular cleaning and disinfecting of your humidifier at the same time. That white dust is mineral deposits from the water that are discharged with the moisture to the room and collects as dust near the output grate of the unit, as well as on items close to it. Some find that using demineralizing tablets will help, but the best way to reduce scale deposit if you have hard water is to use distilled water in the humidifier. While this is not always possible nor economical, if your unit is small, it may be worth considering. Otherwise, you may need to clean your humidifier more often, as well as vacuum dust around it. 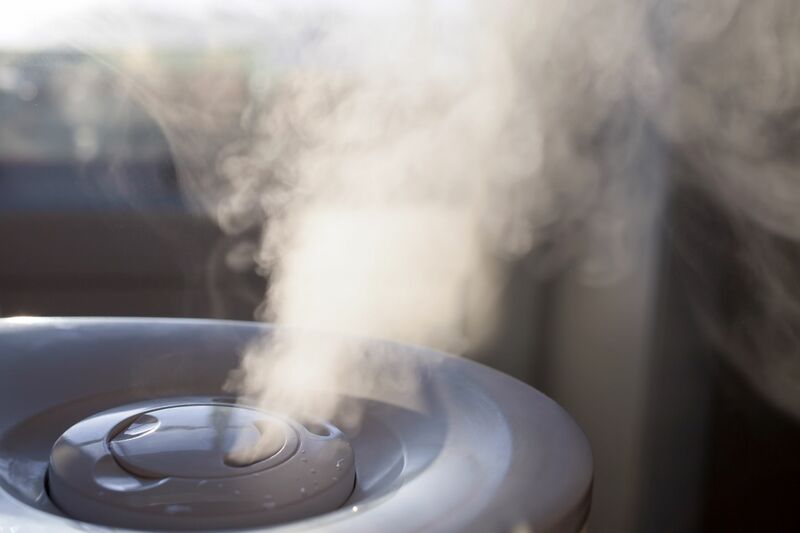 While it would seem logical to use a warm-mist humidifier in winter and cool-mist during the hot summer, it's more often a matter of preference for many. Warm or cool depends on which benefits you the most when it comes to breathing or reducing coughing. If you have problems breathing in a sauna - you'll likely find it difficult with a warm-mist humidifier. On the other hand, if a sauna is comforting, then it might be the best choice. Either type will add moisture to a home, but your doctor may recommend one over the other. If you want a medicated vapor, a warm-mist humidifier is designed for this purpose, but cool-mist is the most common type of humidifier. Some do think that a warm mist humidifier is safer to operate especially if there are small children in the home and for good reason. A warm mist humidifier contains hot water in the tank as well as a hot heating element, both of which could pose a risk of scalding or burns if a child came into contact with these. There are some standard safety steps when it comes to humidifier use and with proper care, any humidifier can be safe. You may also want to read these general Appliance Safety Tips and be pro-active to keep your family safe. Is There a Lower Maintenance Humidifier Option? If you can't relish all the routine maintenance a portable unit requires and you have forced-air heating that includes a network of ducts, you could install a whole home flow-through bypass humidifier. Maintenance is minimal but it has to be installed professionally and will only add moisture to your home when the home's heating system is operating. Store and Clean It Later - Not Recommended! Never store a humidifier with a wet filter and without first cleaning, disinfecting the unit and drying everything completely before storing it for the season. Even if you have already cleaned it before storing, when you retrieve it, give it another cleaning before filling with water. There could be even a small amount of bacteria that has remained in the humidifier when stored. This may seem like excessive cleaning, but germs can so easily grow where any humidity remains, that you should consider it an important step to guard against the spread of bacteria. It's a great idea to compare humidifier prices and read consumer reviews before buying a humidifier. However, humidifier consumer reviews are rather mixed. The most influencing rating factor seems to be operating noise, followed by how much cleaning a unit needs. Keep in mind that the term 'quiet' is subject to interpretation - what one may find quiet, another might find loud. And given that several factors can cause a humidifier to need cleaning, consumers tend to have different experiences when it comes to scale build-up or general humidifier cleaning - and this should be expected. Likewise, dehumidifier reviews can also be mixed mainly due to consumers choosing an inadequate capacity for their moisture problems. Should You Get a Portable Humidifier?